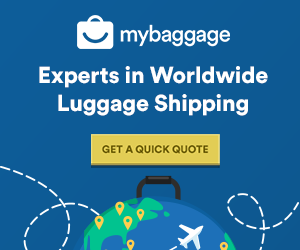 We’re the No.1 Student Shipping Company, delivering luggage across the world for almost 30,000 students. My Baggage can deliver your bicycle to where it needs to go quickly, conveniently and at a low price. Many students choose to take their bicycles to university, as it’s a fast and easy way to travel. It’s also a much less expensive way of getting around your university town compared to having a car, with no petrol or parking costs to worry about. In Cambridge and Oxford and other towns throughout the UK, bicycles are the most popular mode of transport and you won’t go a minute without seeing at least one person nip past you on a bike. To send your bike with My Baggage, simply book online and we will collect it from your address and deliver it straight to where it needs to go. We also offer full online tracking and SMS and email notifications to keep you updated on the whereabouts of your bicycle whilst it’s in transit. Our shipping times are also very fast, with 1-2 day delivery within the UK and 3-4 days for bicycles sent internationally. We also offer an Express service for both domestic and international shipping, so you don’t have to wait long before your bike arrives safely with you. With My Baggage you can very easily ship your bicycle internationally, which is especially useful for students travelling abroad to cities such as Copenhagen, Amsterdam, Bordeaux and Strasbourg where cycling is extremely popular. We also provide a return route, so you can easily send your bicycle to the UK from an international destination. Perfect for year abroad students on a return journey, or international students travelling to the UK to study. Please note; if you are sending your bicycle it will need to be dismantled and packaged up in a box. Your local bicycle shop can do this for a small fee. The box you use needs to fit within our normal size restrictions and can be sent on our normal services. (length x width x height (cm) / 5000) must not equal more than 30. Shipping your bicycle with My Baggage is much less expensive than you think; certainly cheaper than buying a replacement bicycle when you arrive at university and you can get a quick quote any time.